Our previous themes are also composed of plugins. If you wish to create a good directory site, you need WPML plugin, Extension plugin, Directions plugin. Import and Export plugins are also important for site maintenance. To separate different features into plugins was our plan from the very beginning. We knew that rebuilding all the features and make them available in City Guide will take long time, that’s why 5 of our developers were dedicated to build this theme since July this year. We’ve managed to redevelop almost everything we currently have in our older directory themes only in 5 months time which is a great achievement and I’m very happy that we made it. We also plan to create Migration plugin from Directory and Business Finder that will be available free of charge. Price of the theme is the same as other “simpler” themes we have in our Club even though it already includes way way more features and took us many times longer to create it. This lower price is making the theme more affordable for everybody that would like to create a simple directory website and don’t need all additional features. Looking back I agree that we should write the price of additional plugins from the very beginning. This communication misunderstanding would not happen. I hope you understand it. We’re also planning to create more and dedicated directory themes. All plugins will be compatible with all directory themes. That means you don’t need to purchase them separately for each theme or site you’re running. I can not find information about the individual plugins from your company. how they work, what can be imported, please provide a description for each plugin.How it will works with plugins with updates and will it be subscription for plugins like for themes? I did not want to buy something that was not described how it works. we’re currently building these pages. All information about plugins will go public this week. Everything will be also translated to all languages. Plugins are currently available if you log in to our system. You can purchase them and start using straight away. We wanted to release v2 and plugins as soon as possible 🙂 The only thing that is missing are presentation pages. Thanks. Hope you will make it even better in future! Thanks Pieter for your message. Events plugin is not yet finished. We’d like to make it universal, it’ll work in all our themes. In City Guide you and also business owners will be able to add events on the map and also their item page. This plugin should be available in January. 1.) Import of the “Business Finder” Items? Will those features be addes as updates or as plug-ins? Thank you for your message. We’d like to release Migration plugin from Directory/Business Finder themes this week. Get directions plugin will be available in January. Only for clarification for all some was buying Version 1.0 of CityGuide. Some you know that no one be warned that we have to buy plugins for the futures( like csv import) we expect to get with version 2 and 3. 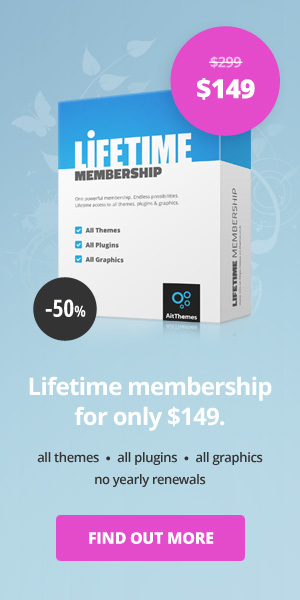 Can you as CEO of AIT Themes confirm that we don’t get this plugins gratis or with discount? As I’ve written in my post above, some of the features come included in the theme to keep the theme price low and some of the features are made as plugins. Plugins are priced very reasonably comparing to other plugin extensions on the market that cost tens and hundreds of dollars. hey guys, thanks for sharing a lot of graphics for us user in login area!!! I’m really sorry for kicking off such a big discussion. Actually I only wanted to know what your future plans are. So that I’m able to make my own plans. The error in information could, in my opinion, have been solved in a better way. At least for those users who’ve been going with you since the directory theme and extra switched over. Even if they can’t edit the old projects because the import of the old data is not possible yet. BUT I must comlipment you! You noticed how users modified the themes (directory & business finder) to make them fit to personal requirements and which wishes and suggestions were made. And you managed to put those features and many more together in just one theme. In such a great way that there are no problems occuring. That means you’d already tested a lot! Huge comliment to your planners and programmers! And kudos to Ivan, Zoli and the others of the support team! I personally have two companies, a marketing agency and a picture agency. So have a lot to do whith support forums. But the fast and really friendly way how users get answers and solutions in your forum is really special! You’re doing a great job! Many thanks for that! THANK YOU! I wish you marry Christmas and the best possible start to the next year! Can you comment on the Analytics plugin timetable? This is crucial– and a dealbreaker for my client until it is available. Thanks for your message. We’ll start working on Analytics plugin after we finish Migration, Get Directions and Events plugins. I think we might start working on Analytics plugin in 6-8 weeks time. I’ve bought this theme in the early days. I’m not using it because I’ve been waiting for the features announced in V2 and V3 ! That’s only why I bought this theme ! V1 out of the box didn’t suit my desire. So now I learn that most of the features I’m waiting for are paid plugins !! I’m really bothered with this. It seams that I have been “caught”. I’ve read your explations, but it is not convincing, sorry ! I thought of buying the business directory theme which has things that I want for my new web site. I came across the city guide and after seeing this blog, I am confused on which one to buy. (a) I liked the side kick styled search criteria shown on top of the map in the home page of business directory. It is possible to bring it in City Guide. (c) I am not convinced on charging separately for easy admin. (d) I heard that you will be introducing event features. It is charged separately as a plugin or will it be part of city guide. (e) Will updates to directory and business directory will cease because of this city guide. Because on the way you are charging for city guide, it seems that you will not provide any future update for directory and business directory. a) Search bar is currently styled under the map, you can put it on the top with some custom css changes if you like. c) If you don’t need to use Easy Admin plugin, you don’t need to purchase it. It’s just $15 which is nothing comparing to bespoke development or custom built solution. d) Event plugin will be sold separately. e) We currently don’t plan to add any new features to Business Finder and Directory themes other than bug fixes. There’re no paid updates on themeforest and we don’t have available resources to develop new features free of charge. Soon I will have to pay for use this element? Events element is there from the beginning. It’s included in the theme. We will be working on Events plugin that will have more enhanced functionality. This plugin will be available for purchase from our website or free of charge for all Premium membership customers. I’m curious, did you decide to stay with Templatic or switch to AIT Themes? Are you happy with your decision? I agree with what you are saying, Templatic seems to have more features (payment options, ad manager, etc) but I’ve heard it’s really buggy and hard to work with. Just curious where you ended-up. Thanx! I monitor City Guide for a while and I just saw that you were going to improve the events function with optional Advanced Version … Very good idea! Can you give a little more information on the features you\’ll fit in? Thanks for your message. Registered users will be able to administer both items and their events. So basically you’ll be able to add your Restaurant or Pub and then add concerts or other events that you host there. Sorry, another question … is it possible to create custom fields on items ? Yes you can modify custom fields, we can help you with that on our support forum. Thanks. Modify ok … but create new one ? You can also create new ones, no problem with that. I will be building a restaurant directory. At the moment I would build it with the city guide theme and utilize the event plugin for special offers. I see that you are building a food guide directory (based on the city guide) which is slated for March introduction? Should I wait until the food directory comes out or proceed with the city guide now? Would the build be easier with the food guide- re functionality/plugins etc.- or stick with the city guide and migrate to the food guide later? Hi can I change the custom post type name “Item” to other, I would like that in my website they could be named “Teams”. is there any User guide / Guideline for this theme? I’m looking for help to know how to work on this theme. Hi, is there user guide or guideline documentation for City Guide theme? I am looking for help on how to work on this theme. yes, please have a look at https://www.ait-themes.club/documentation/ and scroll down to find City Guide. How compatible will this theme be with Advanced Custom Fields plugin which we make heavy use of for modifications of themes please? Also is there a list of known plugins that are Not compatible with this theme? If I wanted to use my own event manager plugin, will this be doable? Is there an advertising module built into this theme? Is there a subscription module built into this theme that allows for people to subscribe on a monthly basis for additional services? Answers to a) b) and c): we have no tested the other plugins. Anyhow, the main rule is if 3rd party plugin comes supported and kept up-to-date there is no problem with compatibility. All that you need is to make some CSS customization. Love the look of this theme looks amazing but just have a couple of questions. 1. can you set custom fields in the backend? 2. Are all the colours customisable? 3. Are they categories for the directory listings separate to the blog categories? Thank You for Interest in our product and hope the answer was sufficient. I just curious is it possible to combine City Guide (as my main domain) & Event Guide (as my sub domain) with the same database for my member? Example: similiar like Envato for codecanyon – themeforest – etc. yes, ti is possible. It uses the same database, but once you decide to use current users you need to install a 3rd party plugin. We have no experiences with it neither no feedback from our clients, therefore i can not recommend you a specific one. I feel very sad…. I pay 40 dollars for the import export plug in in your site and then found out that I could by for 15 in theme forest. I feel cheated and I think it is not fear! I wish you contact me regarding this. thanks for contacting us. You have purchased the right product, please do not worry about it. The plugin sold by Envato group on codecanyon is not compatible with City Guide (Directory+, Event Guide). Please have a look at plugin presentation in detail.